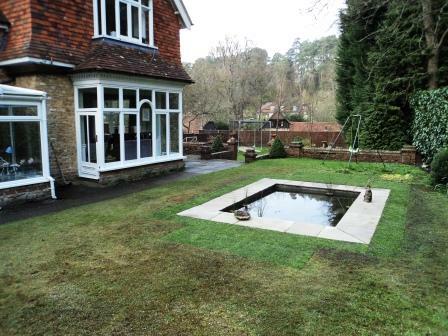 Ponds | West Sussex Garden design, landscaping and contracting. 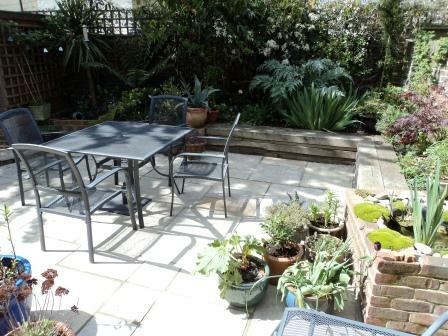 Dear Graham, Thank you for the wonderful work you all did on the pond. We are thrilled! 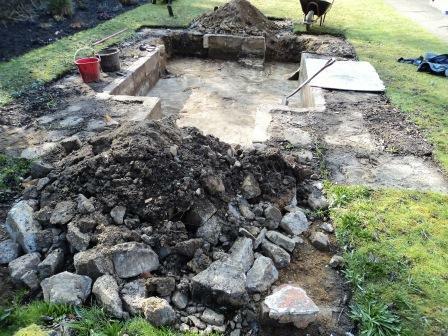 Earth Architecture restores gardens and old ponds and designs and builds new ponds. 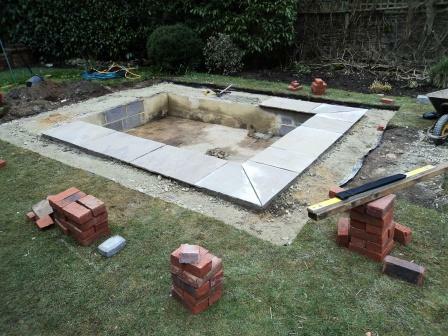 The images below illustrate a complete design and build project, incorporating lighting, paving, brick raised beds, oak seating, fencing, a new shed, planting (with additional planting by the client) and a small pond with a fountain. 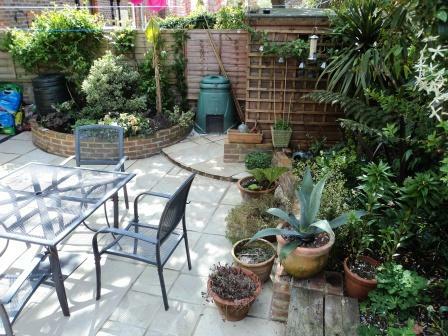 This is about the 9th Doctors’ garden we have worked on. 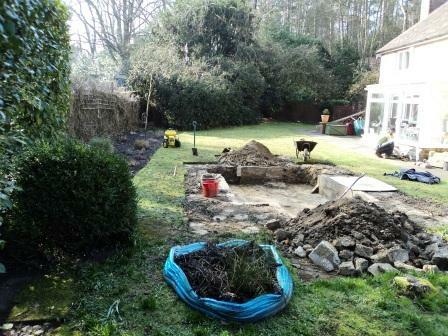 Below are images of the process of restoring an old leaky pond, altering it’s shape, paving and planting up. 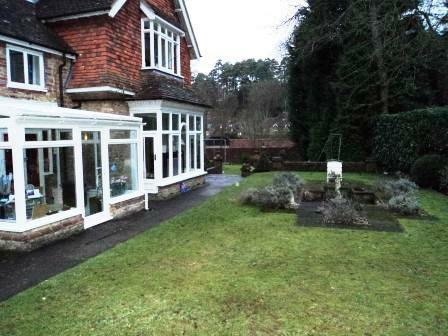 This project was in beautiful Churt, near Farnham, Surrey. 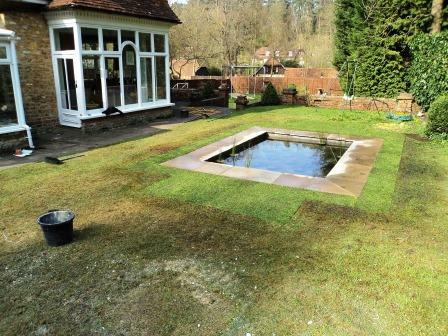 We used a new product to waterproof the pond, it lasts forever, is inert and safe for fish etc. 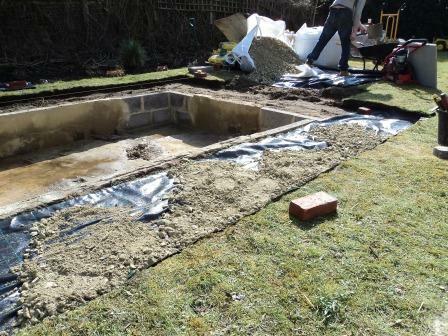 Pond liners no matter what the quality have a limited life. 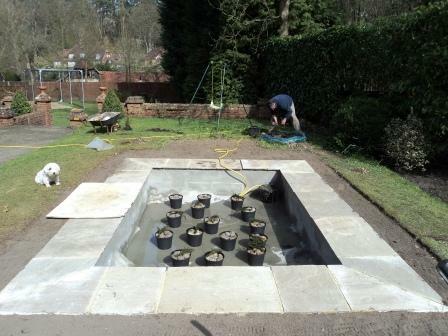 Compacted scalpings over landscape stabilising fabric to take the natural sandstone paving on a 6:1 mix with additives. 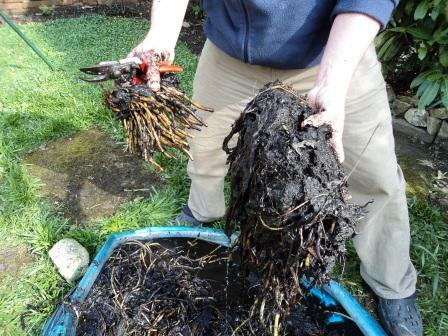 Thinning out and root pruning the water lilies. 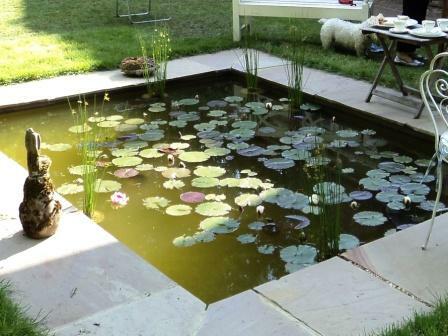 Water lilies do not like water fountains or moving water and need at least 6 hours of direct sunlight to produce flowers. 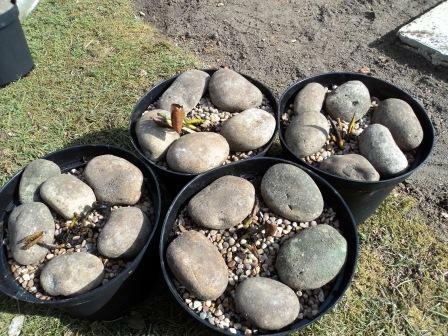 The lilies potted into aquatic compost in pots with membrane, gravel and pebbles to weight them down. 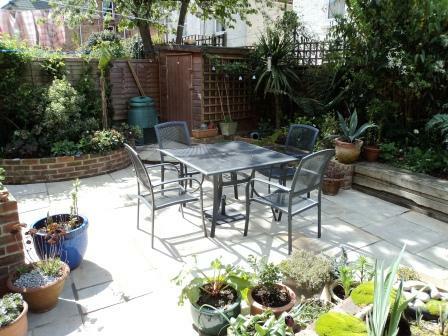 They will need re-potting in a year or two. 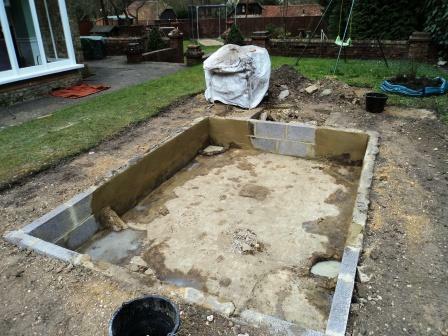 About a bucket of the old pond water was retained to start the new pond. 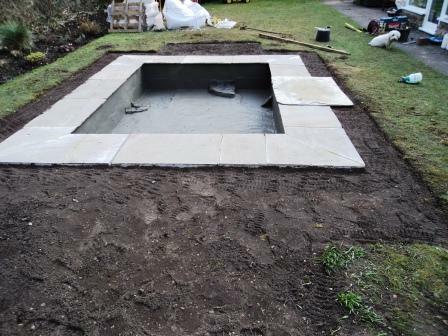 The pond was filled and allowed to rest for 24 hours to allow the chlorine to evaporate before introducing fish. As a surprise present for the 3 boys and the parents, we stocked the pond with 2 goldfish, 3 shubunkins, oxygenating plants and daphnia. 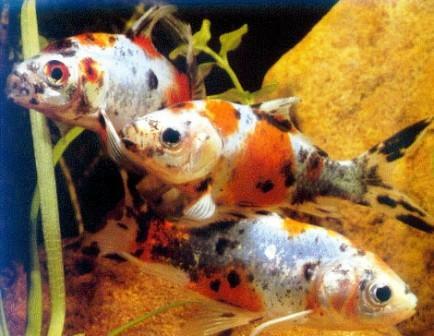 When all the pellet food is used up, the fish will hardly need feeding. 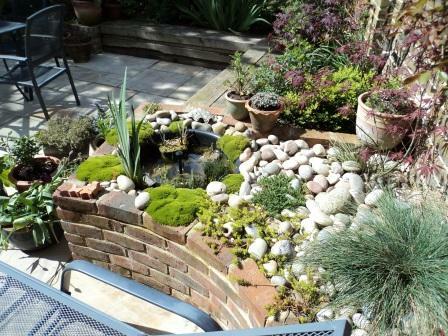 The pond will mature into a naturally balanced ecosystem. 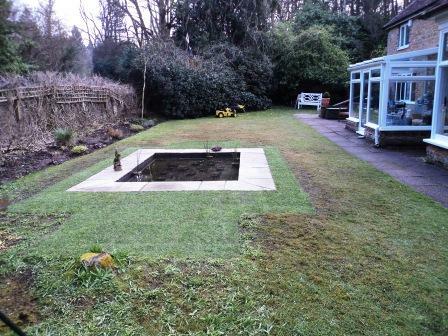 The restored pond with new top quality turf cut in, precisely following the contours of the old lawn. 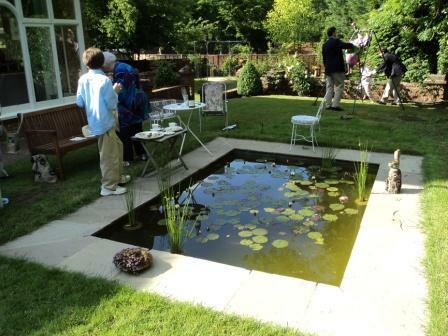 Healthy maturing pond and flowering water lilies. 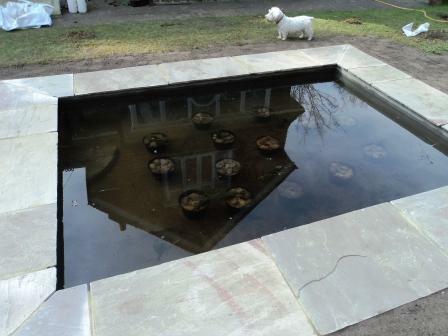 Thank you for revamping our pond which now looks amazing. I have a great view from my room and we have already named the newt/lizard (we’re not 100% sure what it is!!) 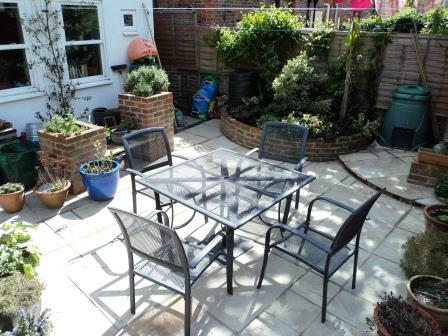 Alan, after Alan Titchmarsh!